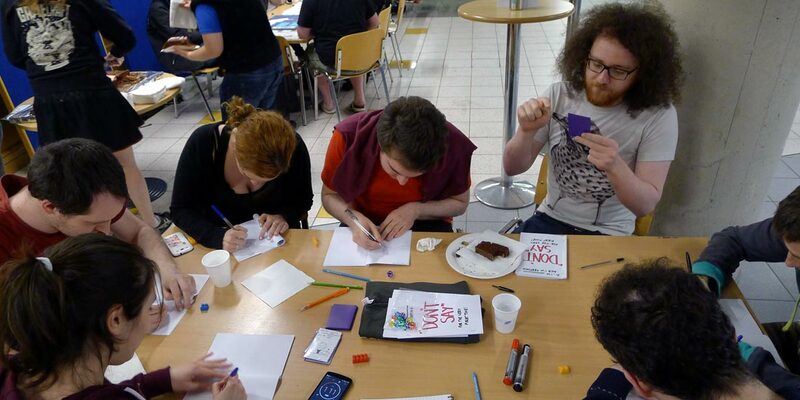 Don’t Say is a drawing party game. It was made in about eight hours for Global Gamecraft 5. The theme was “Party Game”, which completely threw me off. I had an idea for a game I’d like to make, but I couldn’t fit it there. Instead, I went for a game that would be fun to play or watch and drawing works wonders for that – as long as players aren’t awarded for visual fidelity. Instead, what counts is having the right elements in the right place! 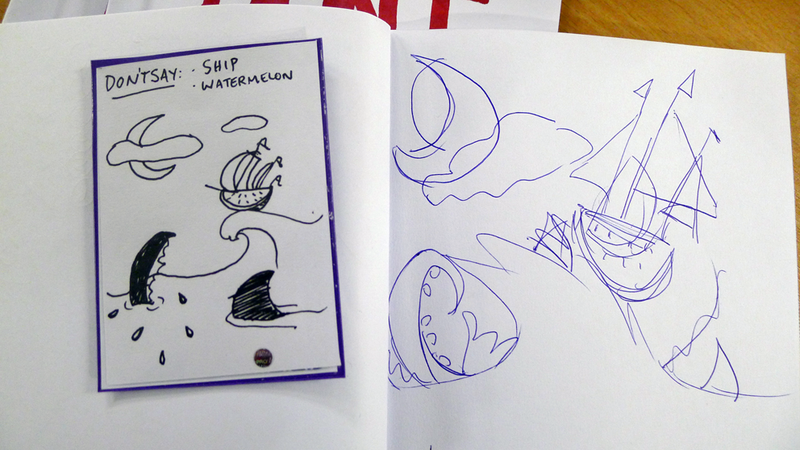 There are two roles you can play as: you can either be describing an image for the other players to draw, or you draw. Every turn another player gets to describe, and the game ends once everyone’s had a go. As the director you have to describe the surreal image the best you can within the time limit, and without saying the two words present on the top. As the artist, you’ll follow the description and improvise the unclear bits. At the end both the description and the drawings are graded based on a series of bulletpoints that were previously hidden. It’s a lot of fun to see the reactions of the players when they see the cards for the first time, and even for the director to walk around the table seeing what his descriptions brought to life. It was my most fun playtest so far! I laughed to tears. I won’t be developing this one further because it draws a lot from two other gams: Identik and Taboo. Still, it was a great experience and the players loved it too!